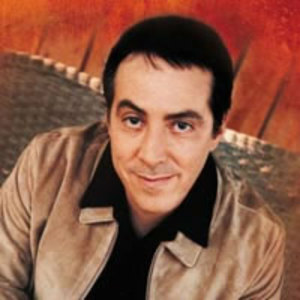 Fernando Ortega is an adult contemporary singer-songwriter in contemporary christian music. He is noted both for his interpretations of many traditional hymns and songs, such as "Give Me Jesus" and "Be Thou My Vision," and for writing clear, easily understood songs, such as "This Good Day." Ortega was born and raised in Albuquerque, New Mexico near the banks of the Rio Grande. He started learning piano at eight years of age. Ortega was born and raised in Albuquerque, New Mexico near the banks of the Rio Grande. He started learning piano at eight years of age. Through his father's work with the United States Department of State, he also spent time in Ecuador and Barbados. It is from his heritage and classical training at The University of New Mexico where Ortega derives his sound, embracing country, classical, celtic, latin american, world, modern folk, and rustic hymnody. Fernando Ortega currently leads worship at Christ the King Anglican Church in Albuquerque, New Mexico. His album Storm reached No. 197 on the Billboard 200 in 2002, and Christmas Songs reached No. 36 on the Billboard Christmas Album Chart in 2009.